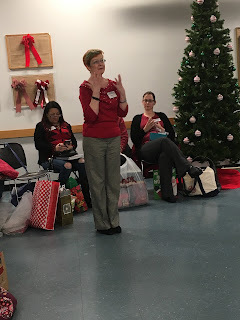 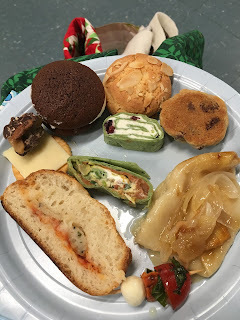 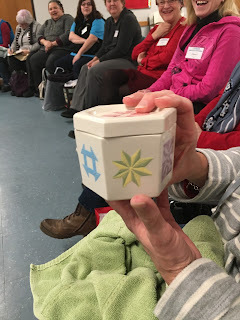 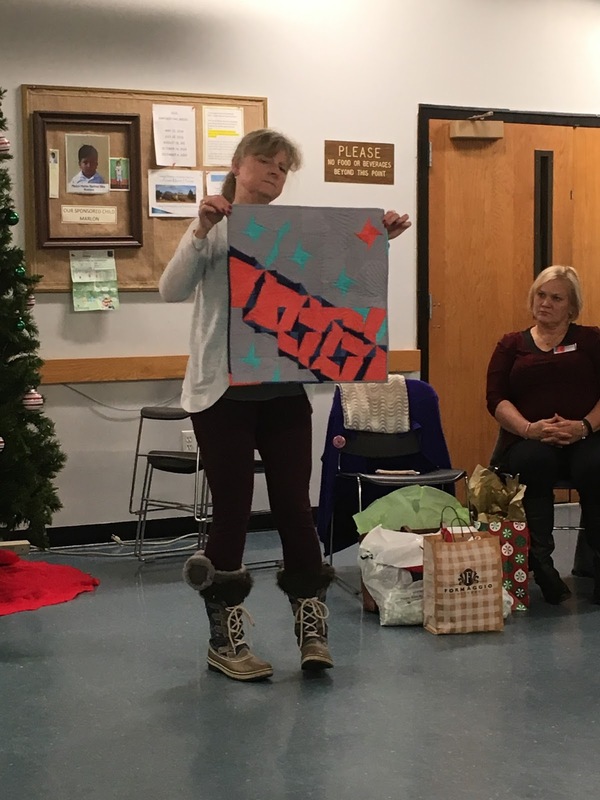 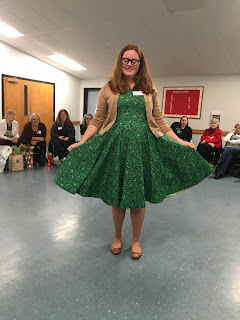 Welcome to our belated December meeting recap, complete with Show & Tell and party pictures! We had a great time at our December meeting and holiday party. 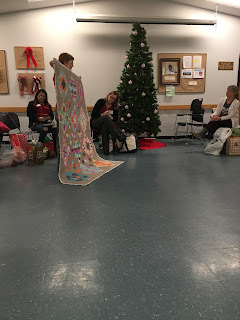 There were games, gifts, treats and of course our monthly show & tell! 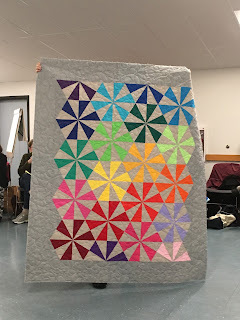 Our quilt for Bridges January gala just needs to be bound! 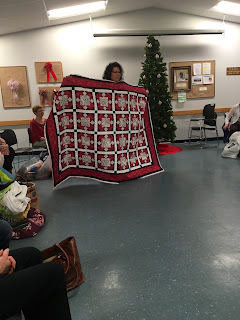 Marie shared her Michael Miller Challenge quilt and two Lost In The Big Woods quilts. 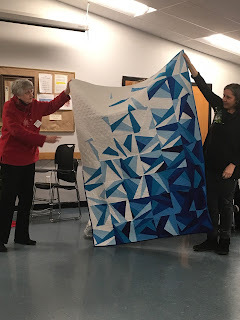 Carolyn shared her finished Icy Waters quilt! 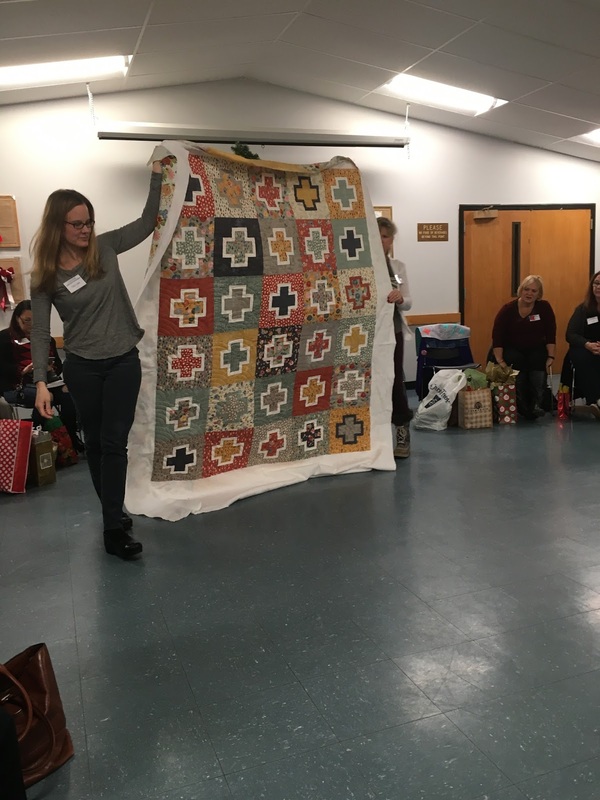 Jesse made this quilt as a present for her sons girlfriend. 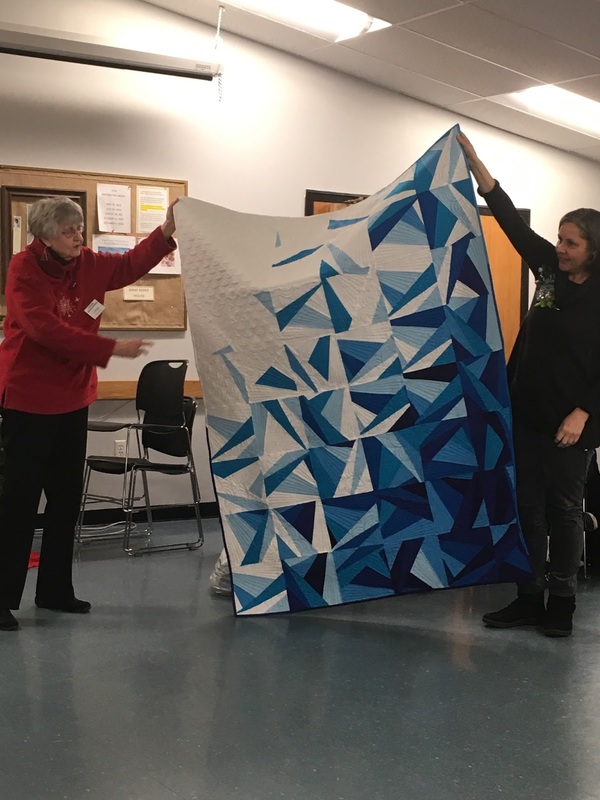 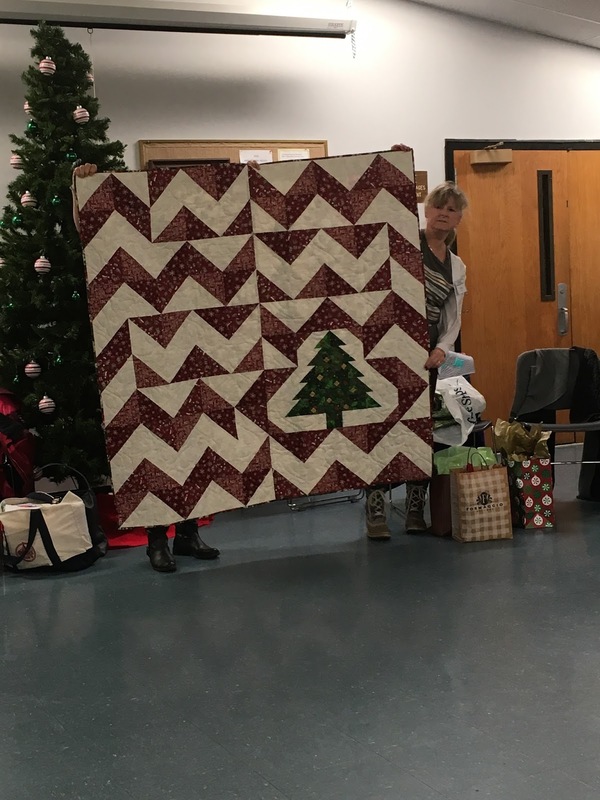 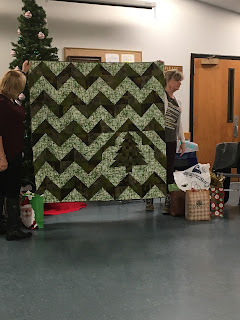 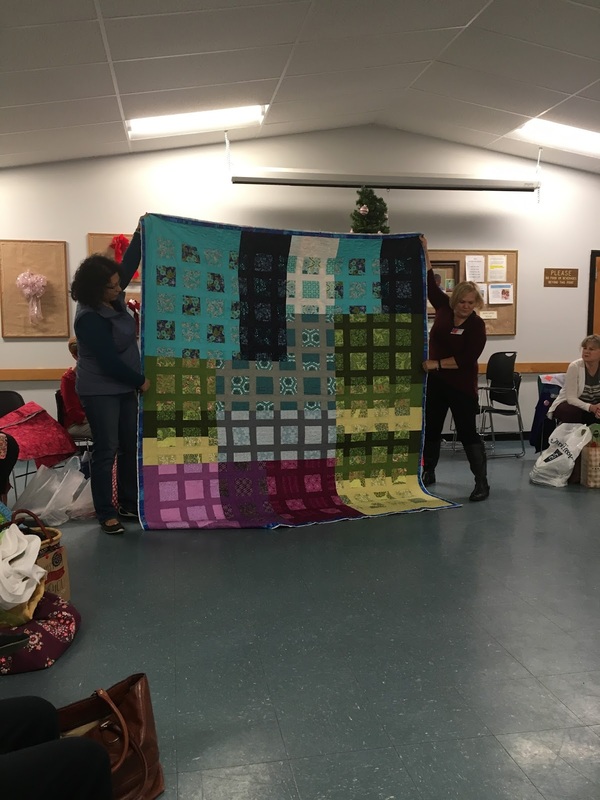 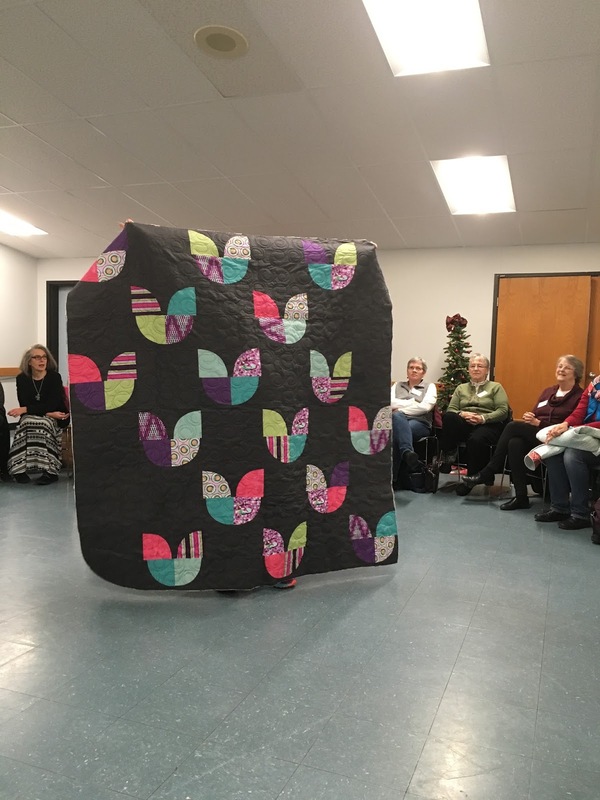 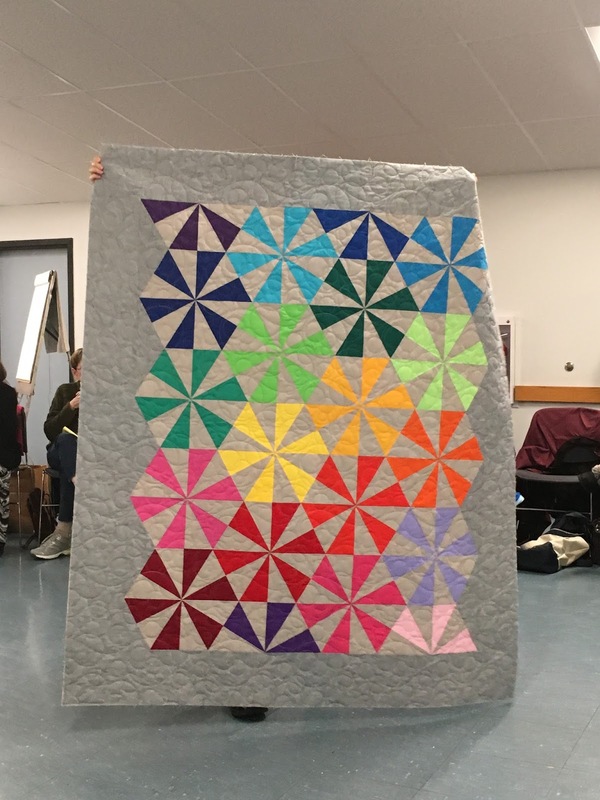 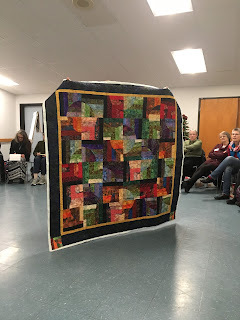 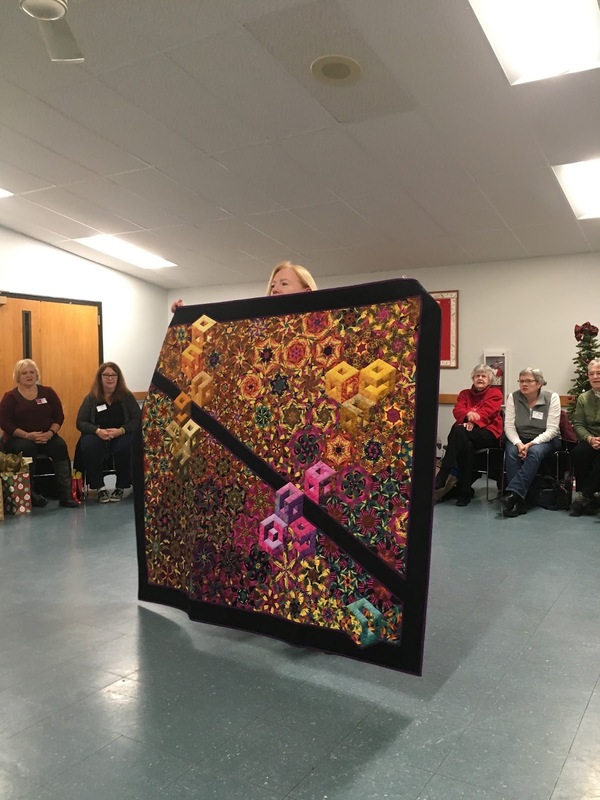 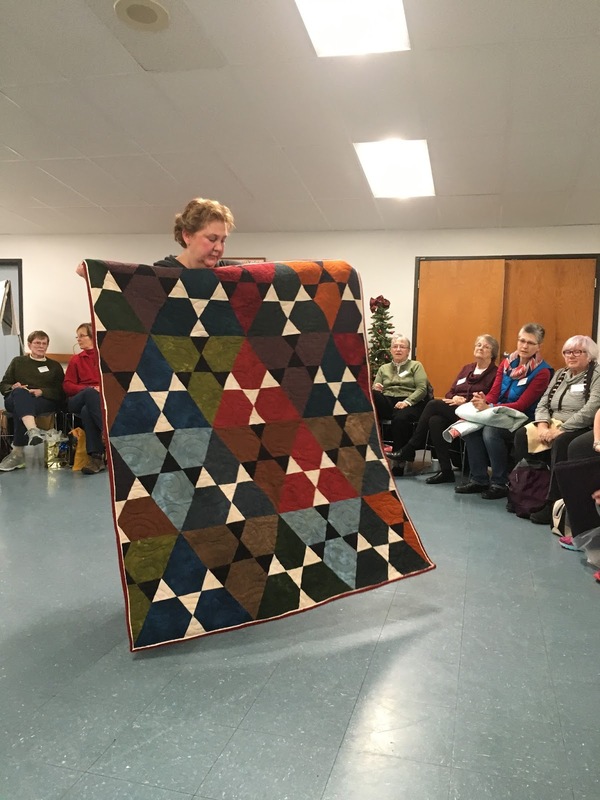 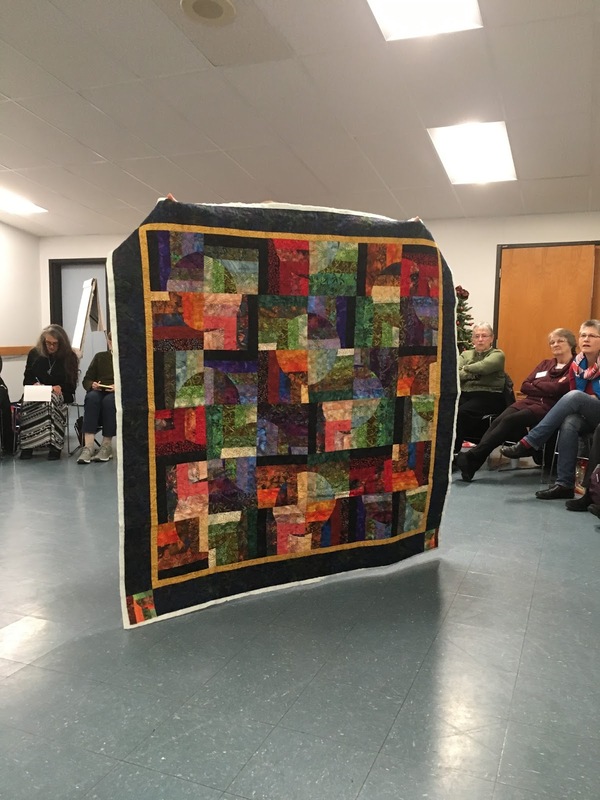 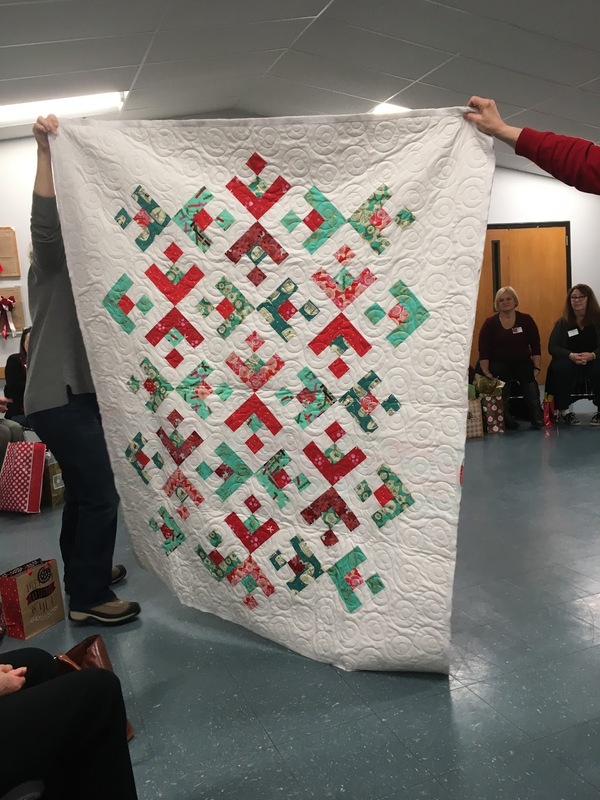 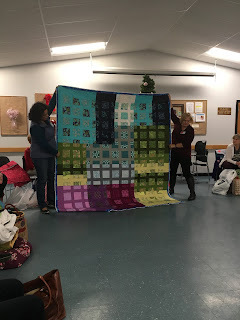 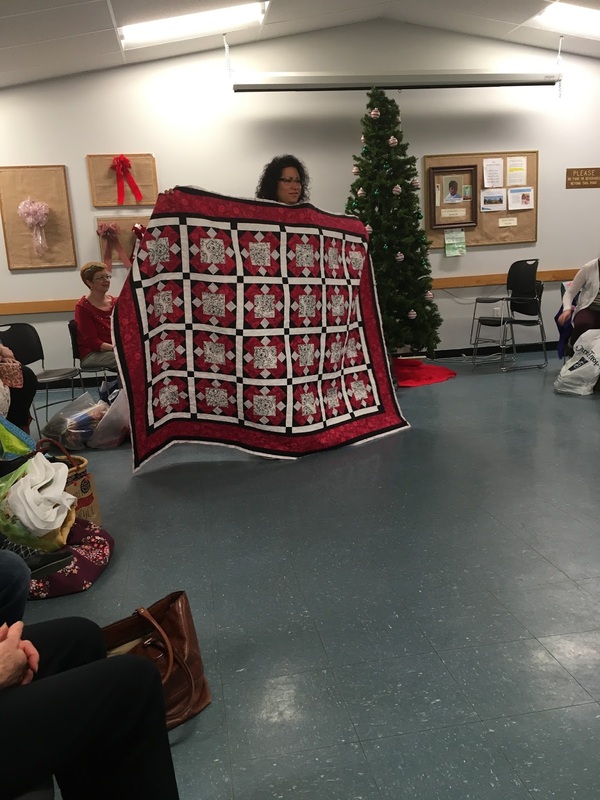 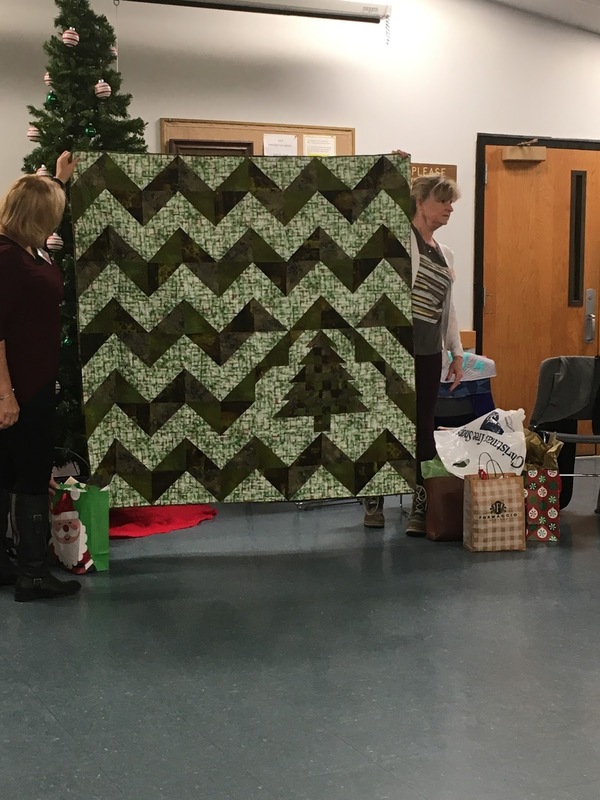 Ann is leaving us for Minnesota, but she shared this tulip quilt at her last meeting with NHMQG! 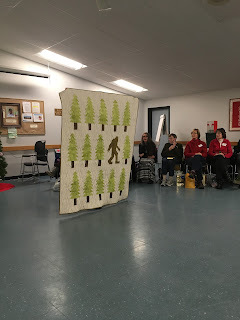 Sue used all flannels for a quilt for her brother and Monkey Business also for her brother. Eileen has been working on this African Wax quilt for 6 years and she finished and it came out great! 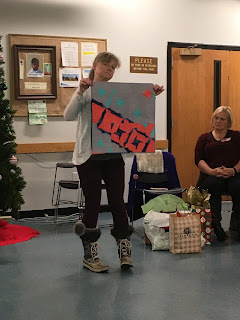 Annick travel challenge used clothes labels to show where they came from. 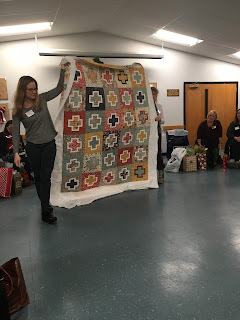 Renee made this ceramics for her mom with quilt blocks on it when she was in high school and found it when she was cleaning recently! 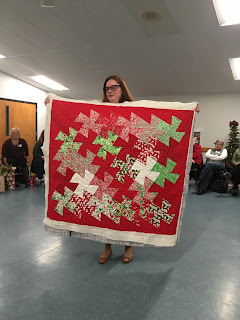 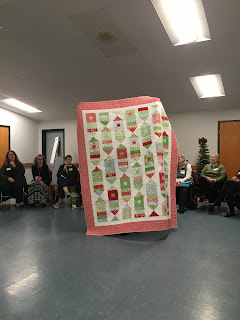 Carolanne made two Christmas quilts with the Twister tool and used a vintage dress pattern to make a dress for Christmas Eve. 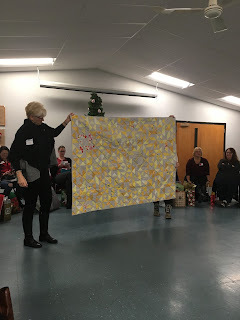 Mary Jean made this quilt using Tinsel from Cotton + Steel. 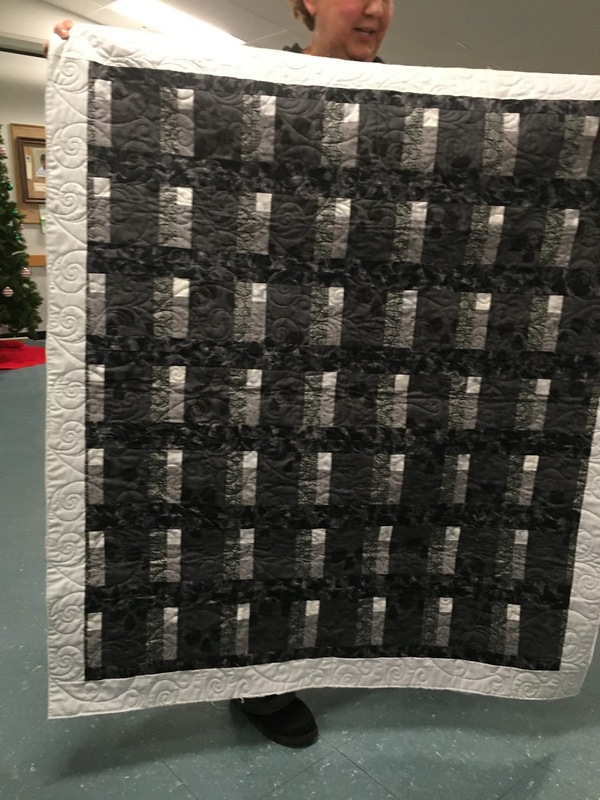 Michelle used PG&J and grunge for this modern quilt. 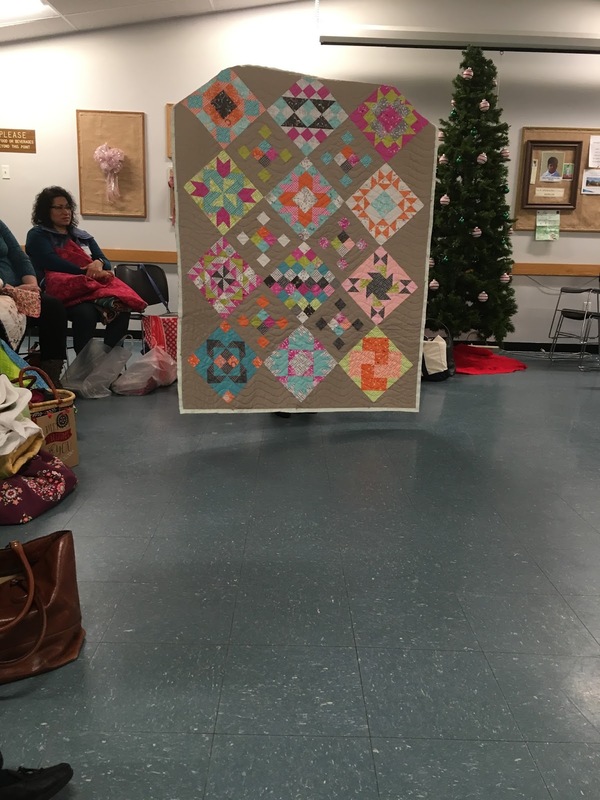 Kim made this quilt for her niece with the same fabrics she made her a baby quilt with! 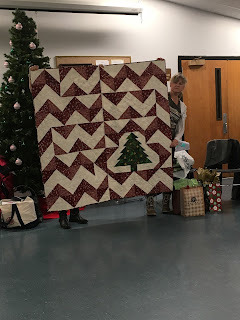 Her second show was for her sons teacher. 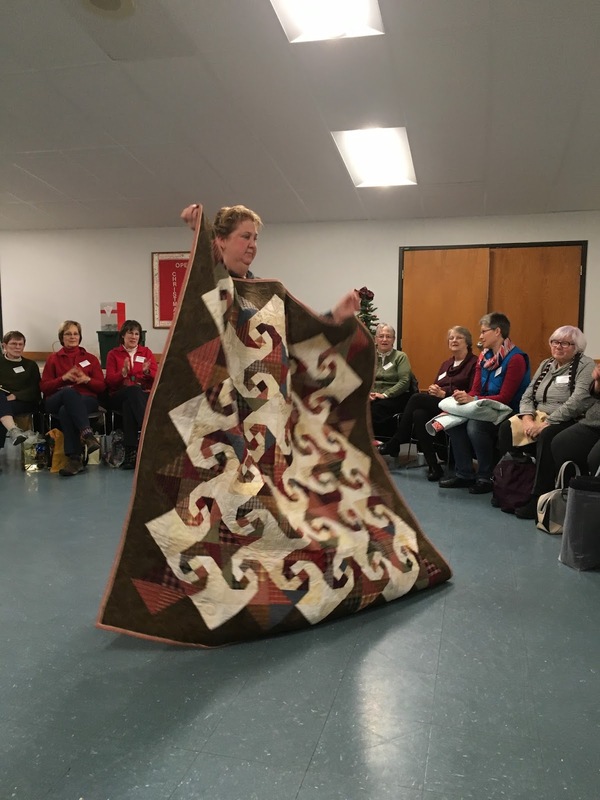 We had another garment share this month from Nancy Tatro with her wonderful pants! 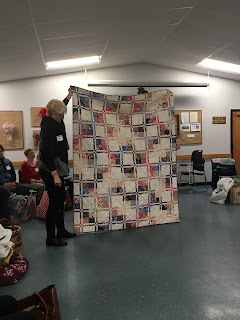 She also shared a quilt made with manor House Jelly Rolls. Betty used a jelly roll with added black for this quilt. Betty also shared this Sassquash that she made for her daughter. Amy Garro gave Chelsea some fabric when she visited us for a paper piecing class last summer and she used it to make this lovely quilt! 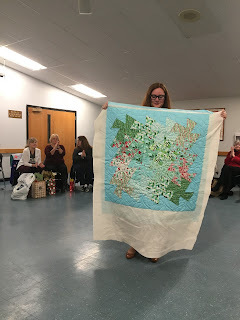 We pulled the winner of our WIPs contest and we had 46 finished projects! 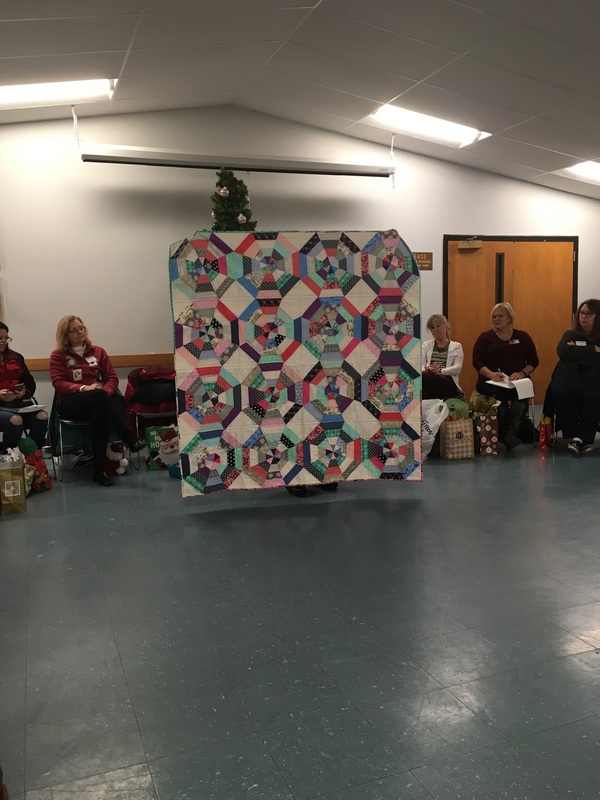 This program was a great way to get our members motivated to finish their projects in 2016.